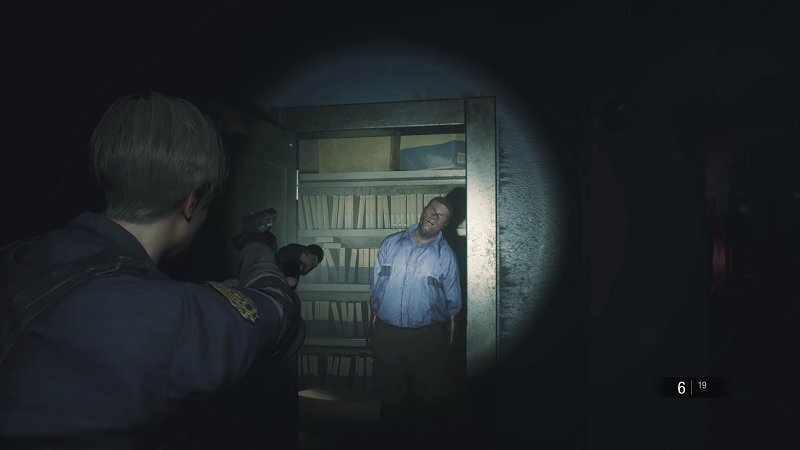 Resident Evil 2 brought out it’s one-shot demo which is one of its kind wherein you only get one shot to playthorugh it and it that wasn’t challenging enough, players will have to do it under 30 minutes as that is the time limit set by the developers for this demo. Which means you’ll have to be quick on your feet battling zombies and completing the objectives in the game. The demo begins with a short description about our character, the situation he is in and his surroundings. 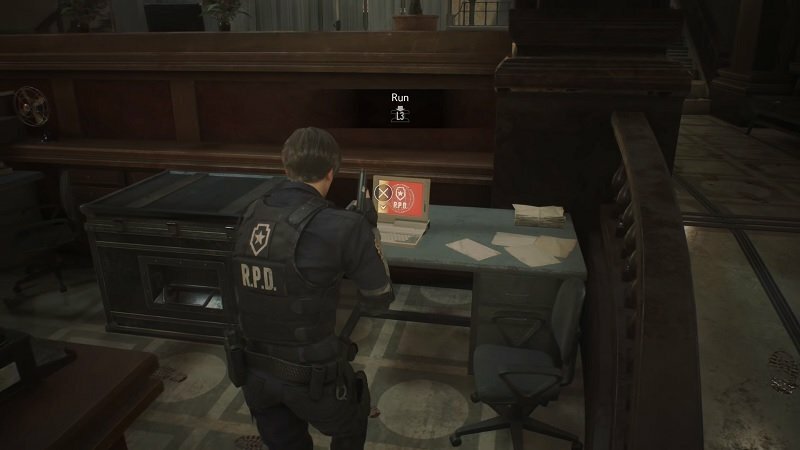 The game continues with our character Leon, holding a gun walking into Racoon City Police Department and at the center of it stands a white statue, at this moment the game begins to prompt you buttons for movements and action. As you walk towards the front desk you’ll find handgun ammo, collect it and walk ahead analyze the laptop. 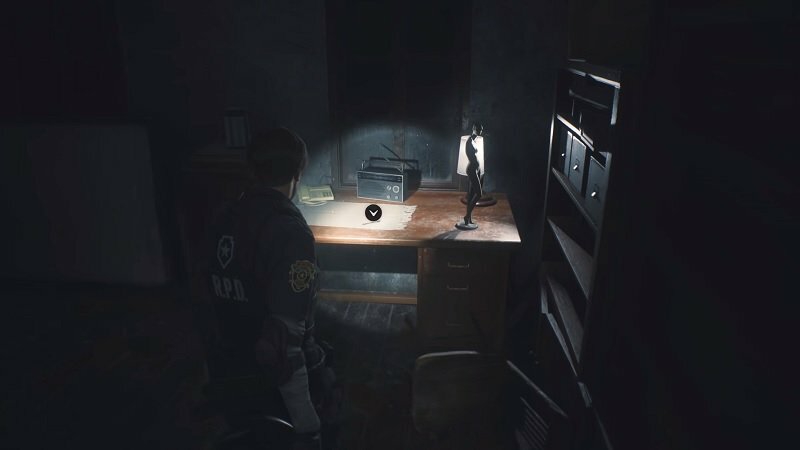 The cutscene triggers, as it ends, we get another prompt which shows us the map and the location of the cop as he is stuck in the East Side of the building. After you mark the location of the East Side on your map, head over to where you first position where the demo starts and you will find a shutter with “KEEP OUT’ written on it, activate the lever next to it and it will open the shutter partially for you to progress. Crawl up under the shutter to enter to the other side, where another cutscene begins, head towards the left side and walk where you will find a red door which is locked but move ahead and as you go a bit further you will see a corridor on your right, keep moving ahead on this route and open the first door on your right which will lead you to a body fallen on the ground with blood splattered all over the place. Collect ammo and head back out to the main corridor. You will see a cabinet that obstructs your way, a button prompt will make your character push it back up so that you can continue ahead. Moving ahead you will see a pathway on your left which has a door to it, open it and it will lead you to a washroom, you can collect a first aid spray there. Head back out and continue eastward till you hear a man shouting for help, follow that voice to another shutter and as you try to lift it open another cutscene will trigger. Now you will find the officer’s notebook which has a drawn map that shows how to escape the building. As you turn around you may encounter first zombie coming at you, the best way to bring it down is to shoot it in the head about three times, kill it and move ahead you may or may not find another zombie coming at you in a dramatic fashion. As you start going to trace back to where you came from, there is a chance you might face two zombies together. Kill them both and dash towards an exit sign which is placed beside another shutter. After the cutscene in which you meet Marvin, he will hand you a Combat Knife which is multipurpose in nature, head out to the west side of the main hall where you will find a taped console, use your knife to cut it open and it will open the shutters leading to a seating area. Collect the green herb and the ammo in this room and make your way inside the corridor. 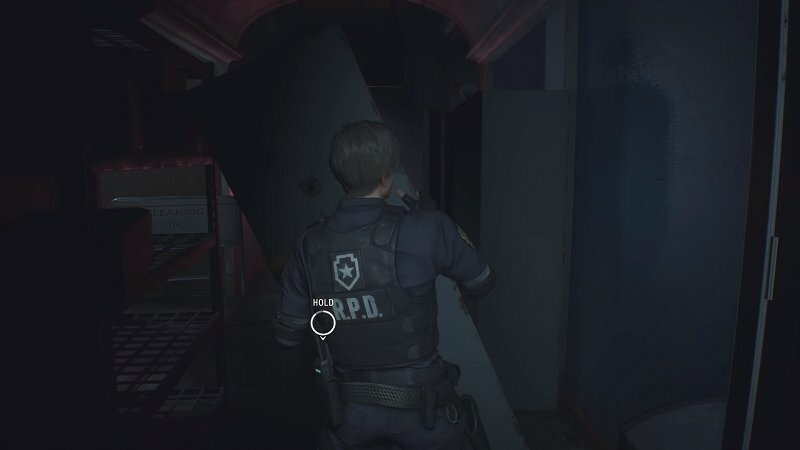 As you move ahead you should hear a radio transmission, follow the sound to trigger another cutscene, following that head towards the same path until you find a set of red double door and enter it. 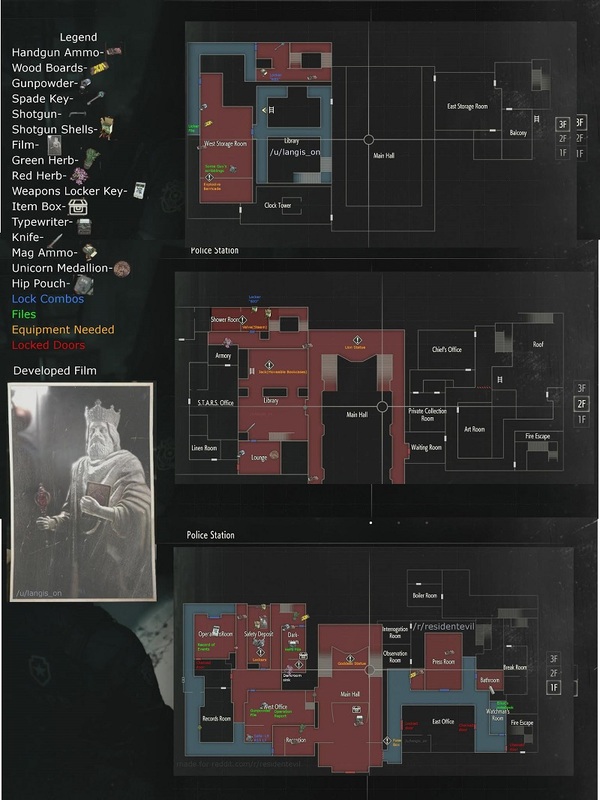 There you will find, a Weapons Locker Key Card, take it as it will help you get more ammo, further in the room you will find more ammo and the Police Station 1F Map on the board, grabbing it will let you know of your current locations and all the exists available to you. Up ahead you’ll see a small vent near the roof, use it to go to the other side. As you climb out of it, you will see a zombie distracted, staring at the wall. This gives you time to either kill it or run past it. 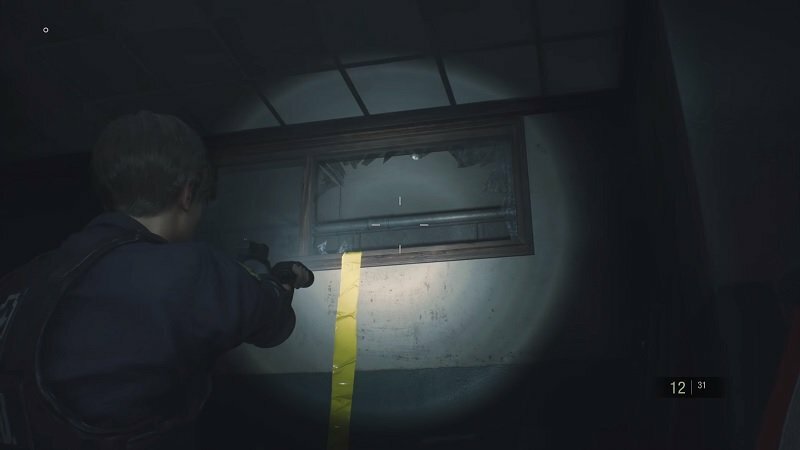 There are couple of doors near by and accessing them will give you more ammo and a couple of more zombies, keep heading into the same direction which will lead you to The Safety Deposit Room which enables you to use the Weapons Locker Keycard, you obtained earlier and you can find a shotgun placed there. To progress from here, head towards East and you will come across a dimly lit corridor with stair at the end of it. Climb up the stairs to the West Wing 2F and 3F. This floor is mostly inaccessible but you can find ammo, zombies and herb here. When done continue your way onto 3F. As you reach this area, you will find more ammo and you will see a wall that has been broken down, continue there and you will find a Blue Spade Key on the desk, go through the door on your left and continue walking, you will find a door on your left enter it and keep moving towards the same direction. Continue round and enter the door on the left to enter West Storage. On the south side of the room is a file and the Hip Pouch, increasing your inventory by two, continue west to find another door that will lead you to the Library. As you reach the Library, you will get a radio call from Marvin asking you to get back to him urgently, you will have to walk down the stairs and go towards the door on your right and use the Spade Key found earlier. Run towards Marvin to complete the demo which will trigger a bonus cutscene. With that you will have completed Resident Evil 2 demo and congratulations on that. 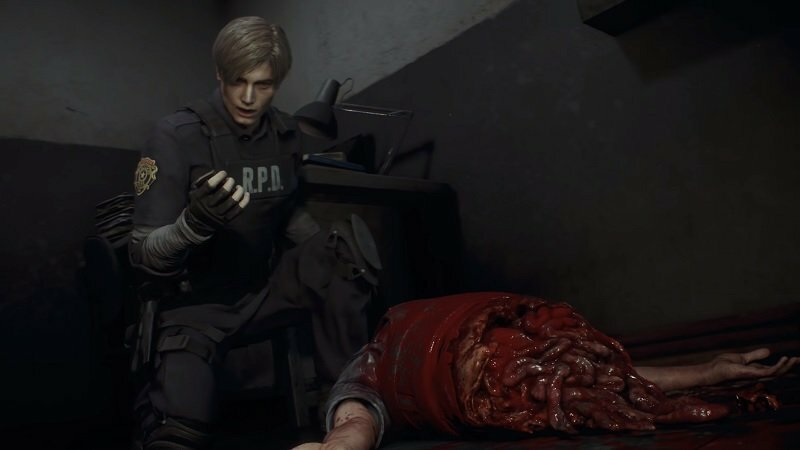 The demo version of Resident Evil 2 Remake give us a clear idea of what the end game might turn out to be like and though not everything seen in the demo makes it to the final build, we still get a clear look at how some of the features might work out in the game. 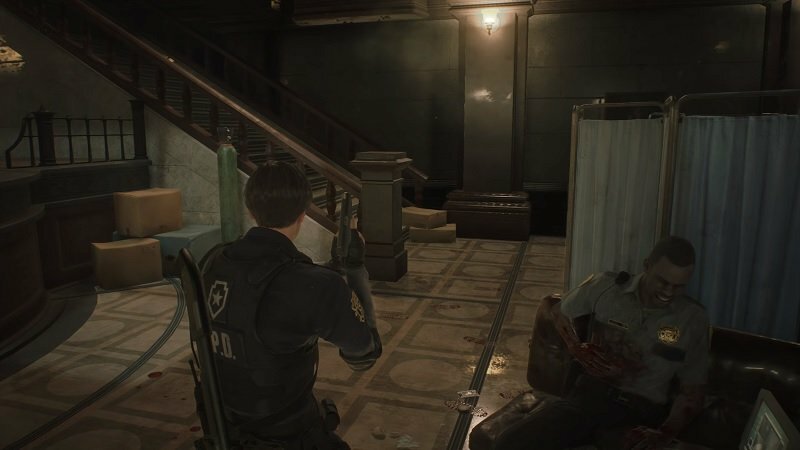 Check this space for more Resident Evil 2 Remake Walkthrough, Secrets, Tips and Tricks.